"Fire Protection Is Our Business"
CFS Fire Protection, Inc. is a Professional Fire Code Compliance Inspection, Testing and Certification Company providing National Fire Protection Association (NFPA-10) compliant and California State Fire Marshal enforced Fire Protective Equipment and Services throughout Northern California. Because our Customers are located all over Northern California, we have separated our Customer Service Reviews by the Local Cities where our Customers have their Businesses and all the following Reviews are from Customers in the City of Petaluma, CA 94952 where Services like our New Customer FREE Compliance Inspection Bid or our Annual Fire Extinguisher Inspection Services were performed. More About CFS Fire Protection, Inc.
Our Website (http://CFSFireProtection.com) is Mobile Smartphone Friendly and you can always give us a call at (866) 584-3473 to ask questions and schedule Services to help keep your Business in Fire Code Compliance and We are Really Only a Phone Call Away! We also provide Onsite Live Fire Demonstration Fire Extinguisher Training Courses to give your staff hands on experience operating the Portable Fire Extinguisher Equipment as well as the proper methods to activate Restaurant Kitchen Fire Suppression Systems and Commercial Sprinkler Fire Suppression Systems that can help Protect Your Business! 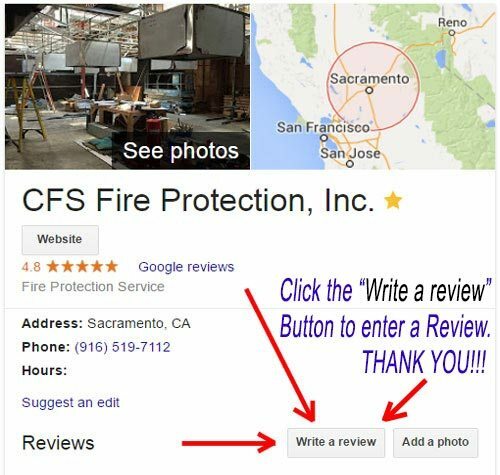 by clicking on the closest location to your Business "CFS Fire Protection, Inc. in Sacramento, CA" or "CFS FIre Protection, Inc. in Orangevale, CA". Then, on the right side of our Google Listing, click on the Gray "Write a Review" Button and leave us your Review. Thank You for Your Review in Advance! CFS Fire Protection, Inc. Fire Protection Inspection, Installation, Maintenance and Fire Code Compliance Certification Services for Fire Extinguishers, Restaurant Kitchens, Food Trucks, Concession Stands, Fire Hydrants and Commercial Sprinkler Fire Suppression Systems in, near and near by Petaluma, California 94952. If your Business is located in Petaluma California and You Need Professional Fire Code Protection, Inspection & Certification Services, Give Us a Call (866) 584-3473. We have all the Fire Protection Services Your Petaluma Business Needs to Get and Stay Fire Code Compliant! 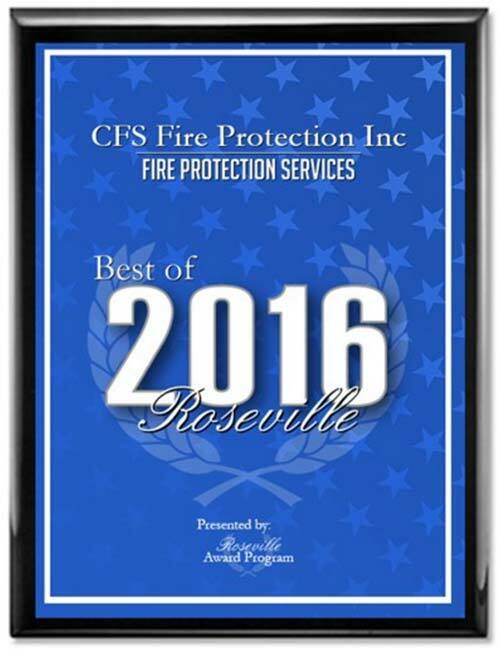 © 2015 - 2016 - CFS Fire Protection, Inc. | Northern California Fire Protection Services | All Rights Reserved.